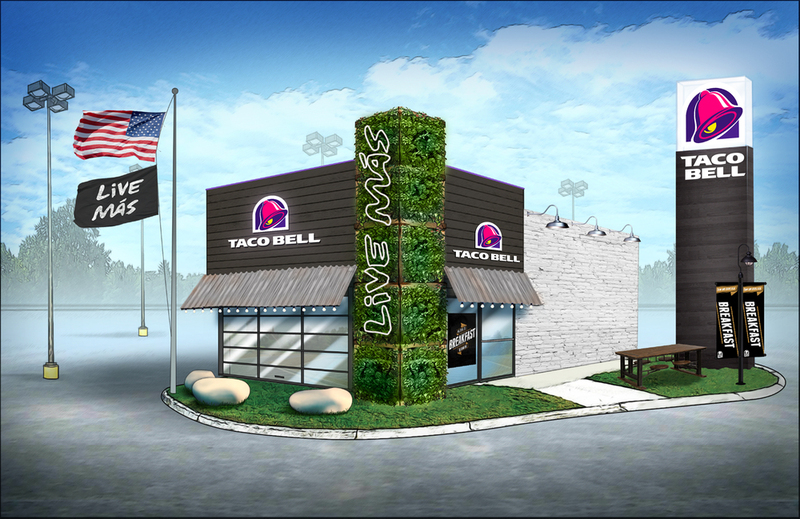 TACO BELL RESTAURANT EXPERIENCE // Taco Bell was reimagining their identity and their restaurant experience. From design to experiential, we created a holistic system that included branding, signage, product innovation, packaging, in-restaurant engagement, and exterior design including the drive-thru experience. There are currently three stores being built in select U.S. test markets.